When I tried Project 333 for the first time, my life wasn’t simple. 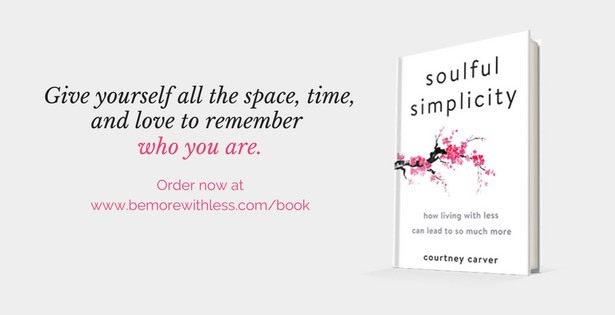 I was ready to simplify my life, and had made some progress, but I still had trouble letting go. When I created my first capsule wardrobe in October 2010, and saw only a handful of hangers in my closet, I was excited about what I would learn over the next 3 months, but I was scared too. Will 33 items, including clothing, shoes, accessories, and jewelry be enough? Will people at work notice? Will my clothes wear out faster? Will I be bored? All of those thoughts rushed through my head as I looked at my bare closet. After two weeks, the fear began to subside. I noticed that instead of feeling scared or worried, I was feeling light. I was getting ready with more ease in the morning. Two weeks later, not only was I saving time in the morning, but I was saving money and more time because I wasn’t shopping on the weekends, or searching for new deals on the internet. I didn’t care about sales, or worry that I didn’t have the right dress for an upcoming event. I really enjoyed the freedom from not thinking about what I was going to wear. Pre-P333. when I was shopping for new clothes every season, event, and emotion, it was never enough. I always felt like something was missing. I needed more. During the first three months of my minimalist fashion challenge, instead of feeling a sense of lack, I felt abundance. I finally felt like I had enough. 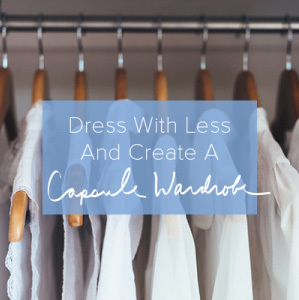 All of the lessons I learned from dressing with less encouraged me to live with less. They applied not only to my closet, but to my kitchen, living room, garage, and beyond. I had the confidence from not only surviving, but thriving with 33 items or less, to let go in every other area of my home and life. 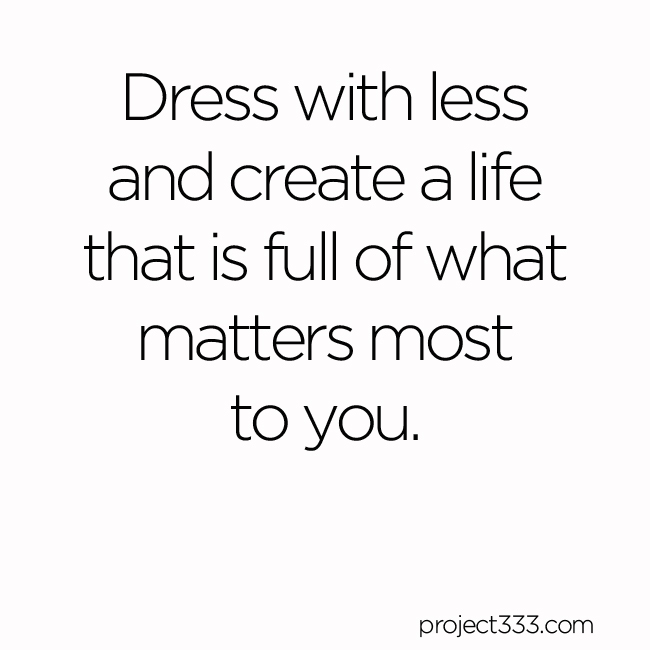 When you take on the challenge to dress with less, you’ll challenge your relationship with stuff, your definition of enough, and what really makes you happy. This little fashion experiment is about so much more than clothes and hangers. It’s about making the space, time, confidence and clarity to create a life that is full of what matters most to you. I still haven’t done a project 333 but after finding it and your blog, I have cut down a lot of what was hanging in my closet. It’s been awesome! One of my hobbies is sewing clothes which makes it easy to fill my closet to overflowing! 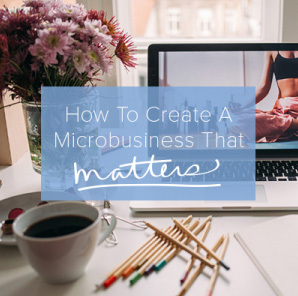 Realizing that I don’t need as much clothes has made me a lot more critical about what I make. I’ve taken time to do other things that I had stopped doing like reading and going on walks. I am so thankful that I found your blog. I have always had this yearning to shed the stuffs and live more simple. Clothing is such a love hate, it makes me feel confident when I have an awesome fitting piece and it can make me feel like poop when I have nothing fitting right. Project 333 allowed me to say goodbye to those items that didn’t make me feel great. Like a bad relationship, I was letting them go.l for good! After the purge, I was left with 55 items that I love hanging in my closet. I boxed the items that I loved for winter and put them in hibernation for the fall/ winter capsules. The rest was sent to thrift or trash. Now, my closet looks amazing and so do I! I even did this with my underwear drawer and loungey clothes! FREEDOOOOOOM!!! Are you hole and stain free? Do you make me look good? Do it! You will feel great. Pinky swear!!! Pinky swear. I love it. I am pretty good at getting rid of stuff that’s damaged or doesn’t fit. Unfortunately, just bought 3 new shirts. Time to re-look at the closet! It’s funny, I work in an older technology environment, with many male engineers from the 70s and 80’s, and I can tell you for a fact that they just don’t care if you’re wearing something designer or something different each day. I honestly think many of them practice Project5-365 (5 outfits worn throughout the year). Who knew they were on the cutting-edge minimalist fashion front?? (lol, I can say this since I’m an engineer, too!) I’m not perfect at this, but Project333 has helped me begin to be more mindful of what I have. It can be a bittersweet eye-opener once you have removed retail therapy, you realize how much of your life revolved around it. Hi–I have a general question. I love Project333. I feel so much more in control of my life , and I love that I always look put together without even trying because my pieces coordinate so well now. These steps toward simplicity have spilled over into other areas of my life , which makes me happy. But, when talking about it with my mom, I can detect the long pauses over the phone, and feel like I have no support from like-minded folks in my life. I rely heavily on websites for this. How do you keep the passion alive when you feel like you are the only one making this choice for yourself ? It would just be nice to have someone to share experiences with. Hi, I just read your comment and I feel the same way sometimes. Maybe not that I’m not supported but my mom sure is skeptical about it, haha! On the other hand I’ve gotten some positive respons too, one of my friends said she definitely wanted to try it out. I long for this to spill over into other areas of my life, I want to have less stuff and be more organized but it’s a process and I guess it will take time. You write that you want someone to share your experiences with, I started a blog. I started my blog both to share my experiences with other people and to kind of create a catalogue of my outfits and clothes. I also hope I will be able to track the progress I make over time. Maybe you should try it too, I’ve just started and haven’t gotten any respons yet and I promise it’s super scary and I don’t really want anyone to read the things I write (and at the same time I do because that’s what it’s all about). Anyway, I keep thinking I will probably regret it if I didn’t try so I’m trying. I haven’t counted, but I have given away everything that didn’t fit, was the wrong color, was uncomfortable, or something I’d change out of after trying it on. I also eliminated duplicates. I also curtailed shopping. The results? I love everything in my closet! Dressing each morning is a breeze. I don’t let laundry pile up, and I replace buttons and do any mending promptly. I’ve been doing a form of P333 for almost a year, working out what works for me as I go. I don’t count shoes and accessories because I didn’t feel like they were out of hand — my feet are very particular about what makes them feel good, and so I won’t wear what feels awful. And I have certain accessories I stick to naturally. But my wardrobe was out of hand for a very long time. I had so much that I didn’t love. I’ve done my capsule wardrobe almost all the way through my 5th pregnancy now (I’m 37+ weeks) and I think pregnancy is a great time to try it! You realize just how little you need, and you think hard about what “sparks joy” to quote Marie Kondo. I’m working on my maternity capsule post this week, so hopefully I will get it up on my blog soon! Thanks for the P333 inspiration! I would definitely at it’s improved my life! I love to read about this! I’m so tired of all the clutter in my life and I can’t wait for the mindset of this to spill over into other areas of my life. It’s still a struggle sometimes to figure out what to wear for me. I think I have to work at making my closet more streamlined but I’ve only been doing this for a month so it’s okay.